We believe that yoga is a vital practice for children that supports and enhances physical development and cognitive skills and also helps children to deal with their emotions in a world which can often places extreme demands on them. triyoga is proud to offer this teacher training with one of the foremost children’s yoga teachers in the UK. The course will cover teaching children from ages 2 – 3 ½, 4 – 6, 7 – 9 and 10 – 12. Learn how to teach interactive classes based on yoga asana, combined with games and movement to develop co-ordination, creative expression and motor skills. The course is structured into clear separate sections and will provide students of the training with the necessary skills to teach yoga to children. School teachers will also learn how to integrate aspects of the training into regular classroom time as appropriate. Trainees will learn to teach children up to 12 years of age. better understand typical behavior of children. develop class plans for each age group. This training is open to anyone who has been practising yoga for at least two years. Please note that you will need to obtain a DBS check and ensure that you have the correct insurance in place to teach yoga to children. All graduates of the course will be eligible to join Yoga Alliance Professionals and will then be able to source insurance via BGI. This training is accredited as a vocational training course by Yoga Alliance Professionals and meets BWY requirements for CPD. Susannah has been teaching yoga to Children and Adults for over 20 years and remembers doing yoga postures as young as 4 years old and wanting to be blue like Krishna, thanks to her spiritually progressive parents and Iyengar teacher next door. She believes that teaching children is both a skill and an art. It is also incredibly rewarding. When you teach children, you not only encourage them to explore and express their natural joyfulness but you also connect to your own joy and learn as much from them as they do from you. Carla qualified to teach at Homerton College, Cambridge in 2001. She started her career teaching geography in a large comprehensive school in Essex before becoming Assistant Head of Lower School. She then qualified as an Advanced Skills Teacher and worked with partner schools and trainee teachers to raise standards and support school improvement. Following a move to Switzerland, Carla took on the role of Assistant Principal at an International School near Zurich, with responsibility for curriculum development and school improvement. Having returned to the UK, she is currently studying for a Masters degree in Education while at home with two toddlers. Carla is passionate about yoga and in particular teaching yoga to children, and currently volunteers at a local Pre School where she teaches 3 and 4 year olds. She believes that yoga can help to support children’s physical, social and emotional development in a fully inclusive environment where each child is treated as an individual. Yoga encourages children to be active, mindful and to relax but most of all it’s fun and the children love it! Carla has also qualified from the ‘teaching yoga to Children training’. Matthew will train all students in Baby & Child centered First Aid. All students will be qualified to give CPR to babies and Children. For every place taken £5 will be donated to the Teddy Foundation which supports children’s charities throughout the UK. The Teddy Foundation is the not for profit arm of triyoga set up in memory of our lovely Teddy the blonde Golden Retriever. Teddy lived and very kindly looked after Jonathan, triyoga’s founder, from an 8 week old puppy (Teddy that is!) in 1994 to December, 2007. 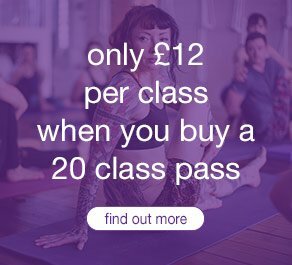 If you are not a yoga teacher / yoga teacher in training, please contact the triyoga teacher training administrator Flavia Cerrone (flavia@triyoga.co.uk) to confirm your eligibility to join this training.